Do you remember Nike’s ‘Make It Count’ campaign? Its message was clear: whatever you do in life, whatever journey you take – make it worthwhile. This applies to elliptical training too. Let’s be clear – it is possible to be on the elliptical trainer without actually training. How many times have you been to the gym and had your eyes on the TV the whole time? Or watched as someone else moseying along on the trainer while reading a magazine or talking on the phone? Let me tell you, these people are not getting the full benefit (or really any benefit) of the machine. They might as well stay at home because they are simply not training. They’re not ‘making it count’. If you’re really using your elliptical trainer to its full potential, you won’t have the breath to talk, you’ll be moving too fast to read, and your arms will be too busy moving to turn pages! Elliptical training, the right way, means being out of breath and dripping with sweat. Who’s able to talk on the phone this way? Not me, for sure. There’s something to be said for applying a little mindfulness when training. That focus on what you’re doing is what stops you from slowing down before it’s time and is also what boosts your momentum. So, you know what else I’m not able to do? Sustain elliptical training for an hour or more. If you can keep going for that long, there’s no intensity there. A good elliptical training session should last between 20 and 30 minutes. (1) This is high intensity training, which simply isn’t sustainable for long periods of time. Make no mistake – a long but slow workout is in no way equal to a shorter, intense workout. Cardio is all about getting your heartbeat going and your muscles working, and leisurely strolling along just isn’t going to achieve that, no matter how long you do it for. Done well, elliptical training is one of the quickest ways to burn calories. (2) For this, resistance is a huge deal. So, use the resistance function on your machine, increasing it according to your fitness level. To get started, use the lowest resistance level that gets you huffing and puffing, and build it up slowly the more often you use the machine. When a resistance level stops feeling like a challenge, it’s time to take things up a notch! To really get your heartbeat going, speed is pretty essential. By doing this in intervals, slowing down and reducing intensity in between, you can improve your fitness level even faster. 5. To Go or Not to Go Backwards? Another thing that I’ve seen people doing while elliptical training is pedalling backwards. Whilst this can break up the monotony of your exercise routine, there aren’t many other benefits. The same study tested the different use of muscles that training backwards incurred, and found there to be little to no difference. Therefore, I suggest focusing on moving in a forwards direction at a higher intensity; that will get your heart rate going better than anything else! Technique is as important in elliptical training as it is in any other form of exercise. Also remember to keep your posture balanced throughout the training session to ensure that you’re getting the full benefit of the machine and that you don’t put yourself in a position for injury. When a person uses elliptical training as a fitness method, but doesn’t apply it properly, they’re really missing out on a world of fitness benefits. As well as being a great calorie burner, elliptical training is a wonderful muscle toning method for the whole body. For starters, you’re moving your arms as well as your legs, which in turn affects your back, shoulders, and chest too. It’s also less impactful and much gentler on your joints than many other training methods, as you’re not pounding your feet on a hard surface, which can put stress onto your knees, hips, and back. What’s the number one elliptical training mistake that must be avoided? 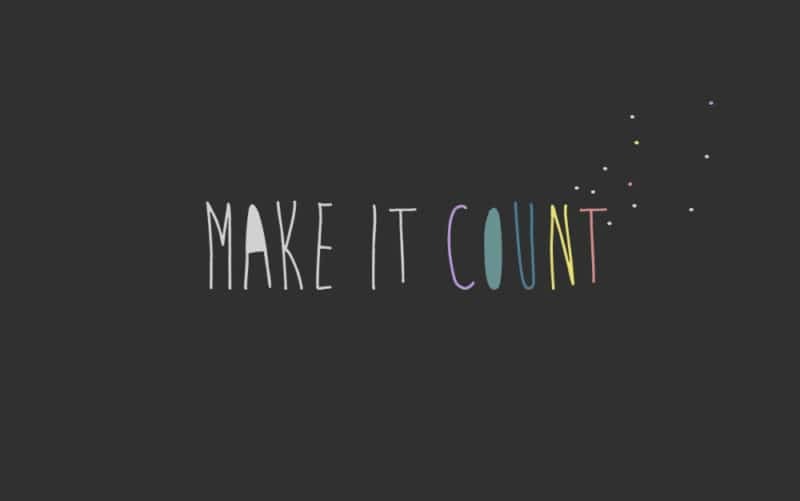 Not making it count! If you’re going to do something, do it properly and make it worth doing. Good elliptical training means no distractions and not having the ability to be distracted – you’re too sweaty and out of breath to talk, right? Good elliptical training is intense – train short and hard, not long and ‘meh’! By doing all of the things I’ve mentioned, and doing them properly, you’ll feel the full benefit of using an elliptical trainer. The next time you step onto an elliptical machine, remember this, and make it count! Did you enjoy this article on The #1 Elliptical Training Mistake? You might also like my Interval Speed Burst Workout. It’ll help you burn more fat than doing regular cardio, while also improving your cardio endurance. Click the banner below to get it for FREE.